Linda Carlson grew up outside Tacoma, the sites of several company-owned and company dominated towns. She spent summers visiting Roche Harbor and Rosario and later worked for a firm that had owned remote logging villages. Fascinated by how people lived where the only access may have been by company train or ferry and where the employer may have controlled the housing, school, store and leisure activities, she began research on these towns and camps about 20 years ago. 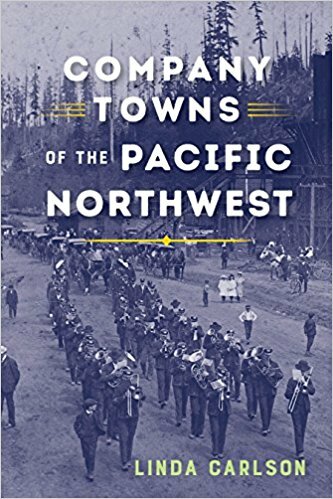 After University of Washington Press published the First Edition of “Company Towns of the Pacific Northwest” in 2003, Carlson was named to the Humanities Washington Speakers Bureau and made dozens of presentations in Washington and Oregon. She retired to Sequim from Seattle a year ago, after a career in the media and marketing.